A showcase of past video games from the home and arcade that can now be made much more accessible thanks to modern emulation. Click on the image relating to each platform to see more. 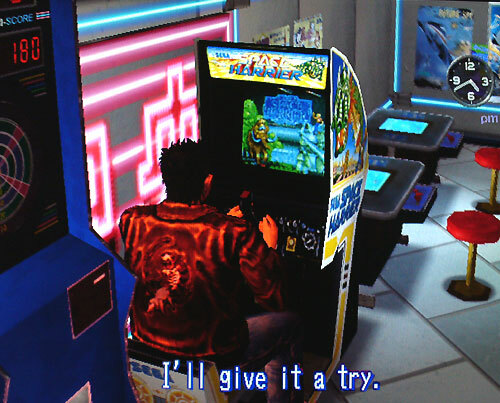 MAME with Direct Input (Multiple Arcade Machine Emulator). Version that is far more compatible with assistive technology for disabled users. A small selection of games from thousands that made it into amusement arcades and other public places. Most of which were highly inaccessible at the time for many disabled players. 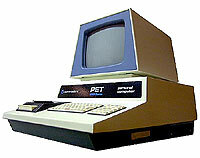 The Fairchild Channel F was the first games console with interchangable ROM cartrdiges. In 1978 it was used as part of the television show TV Powww! where you could phone in and try to win prizes using your voice alone to shout "Pow!" to play games. RCA's Studio II games console is of historical interest being an early machine to be used by disabled gamers using adaptive technology. 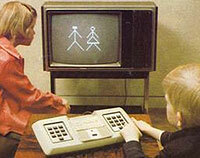 The black and white games featured here include 10-pin Bowling, Space War and a Pong type game. 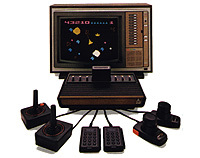 The Atari VCS (aka Atari 2600) was a massively popular machine in the late 1970's and 80's and quite rightly. It was the first machine to officially bring Space Invaders into people's homes. Through emulation a number of games can be played one-switch style. 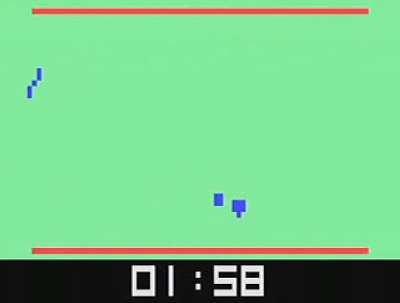 Other 'paddle' based games can be controlled using the likes of a head-tracker. Seeing very little in the way of alternative access in its lifetime, emulation makes play possible for those unable to deal with the standard joypad.